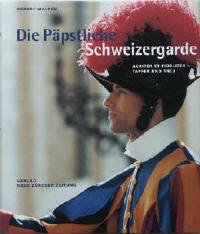 This book on the “Swiss Papal Guard” is subdivided into three sections. The first part “The history of the Swiss Guard” focuses on the time of its formation and the important milestones in its long and eventful history. The second part “The world of the Swiss Guard” presents the uniforms and flags, places of worship and the Swiss Guard’s barracks and describes how Switzerland supports the Swiss Guard and its closeness to its home country. 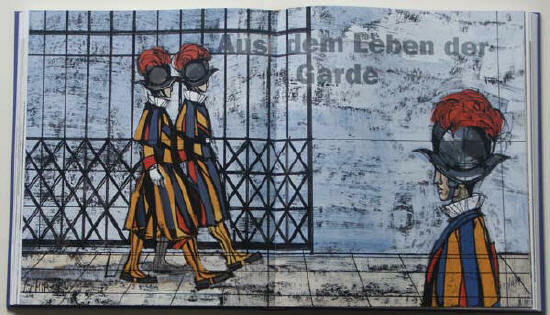 The third part “Life with the Swiss Guard” covers aspects such as everyday life, training and duties, the motivation behind joining the Swiss Guard and comments on the homicide that occurred in the Guard in 1998. The book ends with a chapter on the day that represents the pinnacle in the life of a Swiss Guard - being sworn in on the day of the “Sacco di Roma”. Born in 1948, he studied general history at the University of Zurich, receiving his PhD in 1978. His doctorate examination followed two years later with a thesis on "Untersuchung zur Landeshoheit der Bischöfe von Sitten und Brixen" [Investigation of the sovereignty of the Bishops of Sitten and Brixen]. Mr. Walpen teaches history as his main subject at the Hohe Promenade Cantonal High School in Zurich and lectures at the University of Zurich on the teaching of history for the training of secondary school history teachers. As a former colonel in the Swiss Army, he gives courses in the communications sector at the Institute for Applied Psychology in Zurich. Robert Walpen has written several essays, particularly on the history of the canton of Valais in the Middle Ages and in the early modern era.